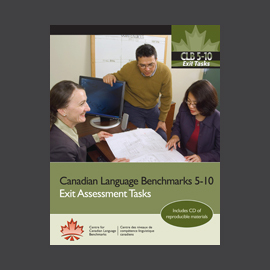 The Canadian Language Benchmarks 5-10 Exit Assessment Tasks are the first nationally available, standardized tools to assess and report on the learning outcomes of adult ESL learners in intermediate to advanced levels, CLB 5-10. This assessment tool can only be purchased by instructors or assessors. 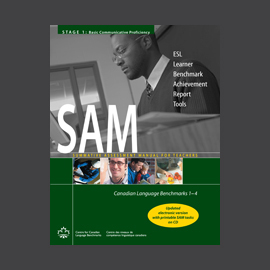 The Exit Tasks are standardized, formal tests to be used at the end of programs and are suitable for ESL, LINC, ELT and Bridging programs with learners in the CLB 5 and up ranges.